I had heard that this book felt a little young before I started but that was incredibly evident once I started getting into it. The main character is in high school but this read at a middle grade level and really felt quite young. I’ve actually read quite a few better middle grade books and ones that were better-written, which is sad since this is co-authored by Neil Gaiman and I’ve loved everything I’ve read from him (which by now is a a decent amount of his works). I’m not sure what percentage of the co-authoring Neil Gaiman did but I found it hard to really get into this book. I’m a total sucker for parallel worlds and the like but INTERWORLD got a bit too deep into some strange science-fiction stuff that just ended up being too much for me. There was a lot of technical jargon, including interdimensional creatures (oh, we all know how much I love wacky creatures…) that was hard to keep up with. I felt that the book went way too overboard in introducing some of these concepts, especially since it’s the first book in a series and there would have been so much to build up to. It’s also very much a blend of sci-fi and fantasy, and I have a bit of trouble combining the two when reading fanta-sci books. Despite the fact that sci-fi is a subgenre of fantasy, they just don’t really blend well for me. It did actually seem better accomplished than in other fanta-sci books that I’ve read but I feel like fanta-sci just allows a bit too much to spiral out of control. You’re allowing belief to be suspended from two different angles instead of just one and as a reader, I have a hard time letting go in two different directions and I wanted things to be a bit more grounded. I would have loved to see this developed more slowly into a couple different books and not have all of this been in the first book. We could have gotten to know Joey, his family, his friends, and his world more before throwing him into this ability and concept. I could have used some more world-building to allow readers to get a grip on Walking and the InterWorld instead of just being thrown into it and having to catch up like Joey had. It was too much and too confusing, in my opinion. I knew this one might not be a hit but I definitely won’t be continuing the series. I was hoping it might be just so-so for me and there would be an option to continue but this was a total miss for me. It was a short audiobook so it wasn’t too bad to get through but if it hadn’t been short, I probably wouldn’t have finished. I just really wasn’t interested and the tone was just too young for me, even as an occasional reader of middle grade books. Kept Me Hooked On: Fantasci. This was definitely a new step in fanta-sci for me with a mix between fantasy and science-fiction. 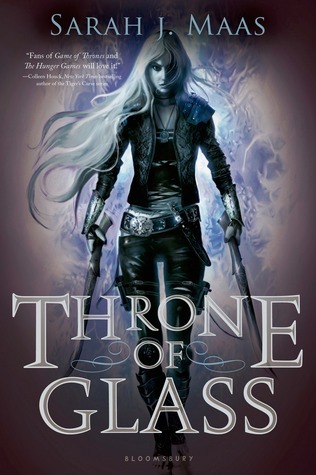 Sadly, it’s something that I tend to have an issue with as I tend to want a book to be more fantasy or more sci-fi, but it was definitely interesting. Left Me Wanting More: Maturity. This book just felt young, even more so than most middle grade books I’ve read. I just felt like it was sort of dumbed down and it really didn’t need to be. I should have listened to the advice when I was told to skip this one but I just had to know for myself! It wasn’t a very good read for me. 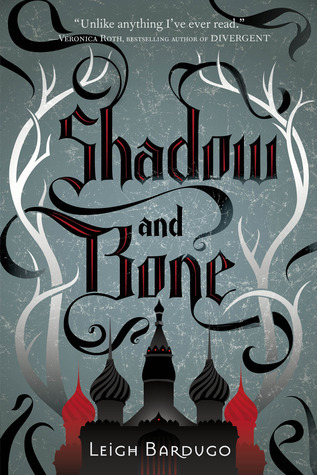 This entry was posted in Books, Middle Grade, Review, Sci-Fi, YA and tagged Books, Fantasy, InterWorld, MG, Michael Reaves, Middle Grade, Neil Gaiman, Review, Sci-Fi, Science Fiction, YA, Young Adult on August 8, 2017 by Brittany. Today’s Review in a Tweet is ALCATRAZ VS. THE EVIL LIBRARIANS by Brandon Sanderson. It’s the first in Sanderson’s middle grade series and I wasn’t planning on reviewing these books since I don’t have a whole ton to say about them, but with this new concept of a review in a tweet, I thought this would be the perfect way to still say a little bit! I’ve read the first two Alcatraz books so far and they’re very fun! A little bit silly, but it is also middle grade so there’s that younger tone there. It actually reminded me of the tone in the Reckoners series, with some intentional laugh-out-loud moments that are there purely for laughs. The story line is a bit young for me (but again, middle grade) so it’s not as engrossing as I would say his other books are but the Alcatraz books are such quick and easy reads! I’ve been trying to go through them on audio because it’s so fast and they’re easy to listen to at high speeds too! This entry was posted in Books and tagged Alcatraz, Alcatraz vs The Evil Librarians, Brandon Sanderson, MG, Middle Grade, Review, Review in a Tweet on June 21, 2017 by Brittany. One of the things I really enjoy about reading books with Alyssa and Amy for our On the Same Page feature is the wide variety of books we read. We try to always choose books we’ll think we’ll enjoy but each one of us differs just a little bit in reading tastes so we also try to challenge ourselves at least one book a year to read a little bit outside of our comfort zone. For me, one of those “comfort zone” boundaries is middle grade. I really don’t read much middle grade at all outside of Harry Potter (which doesn’t count. It’s Harry Potter) and the books I grew up with and read as an actual middle-grader. I’ve seen a few that might look interesting but honestly, I will pick up YA over anything for the most part and adult over middle grade too. So far for On the Same Page, we’ve read three middle grade books (The Cavendish Home for Boys and Girls, Peter and the Starcatchers, and Howl’s Moving Castle) and I’ve actually really enjoyed them all! It’s definitely renewed my faith in reading a middle grade book every now and then and helped me not to worry that I won’t connect with it because of the age level. That being said, I have had a hard time adjusting sometimes. I think I really need to put myself in a middle grade reading mode and try to adjust for what I’m about to read. That’s really not a bad thing and I hope it doesn’t come off as negative, but the storytelling is just a totally different style and the focus is always different. Being an avid YA reader (and in adult stories as well), there’s almost always a romance. The middle grade that I’ve read of course focuses much more on the plot and also friendships, family, and finding one’s own confidence and personality. YA is so much more figuring out where a character wants to go in the world, the transition from child to adult, and often times that includes first love and romance. I don’t necessarily need a romance in a book BUT I usually do enjoy it and it tends to bring out another side of my emotions that helps me connect more personally. I’m definitely always open to reading more middle grade but sometimes it’s hard to make it a priority. I’m really a YA girl at heart with some adult books mixed in but it’s hard for me to pick up a middle grade book and really just be in love with it. Aside from Harry Potter and Walk Two Moons (which I read as a kid so I probably already have that connection to it), I haven’t loved a middle grade book since I was that age. I’m still interested in trying more and I’m glad I have opportunities to read them with other people like we do with On the Same Page! Are you a middle grade reader? Or strictly YA/adult? If you do read middle grade, do you only forage into specific genres? Thanks again for checking out this month’s feature for On the Same Page! We had a blast reading HOWL’S MOVING CASTLE and sharing our thoughts with you! And don’t forget to check out Amy & Alyssa’s posts today too! This entry was posted in Blog Event, Books, Fantasy, Middle Grade, Retelling and tagged Books, Diana Wynne Jones, Fantasy, Howl's Moving Castle, MG, Middle Grade, On the Same Page on August 28, 2015 by Brittany. 10 Things I Felt About This Book is a mini-review feature to give you a quick run-down of a book without those long, lengthy paragraphs. It’s designed to give you a concise impression without bogging you down and a way to keep reviews creative! CURIOUS. A Peter Pan adaptation? I’m in! Peter Pan actually isn’t one of my favorite fairy tales or Disney movies, but I really enjoy seeing how people have adapted it. PETER AND THE STARCATCHERS was a sort of prequel. IMPATIENT. The beginning of the book was fairly slow for me. It was good enough but I felt like not a lot happened for a long time. AMUSED. There are some really fun scenes with the pirates out on the water! I really liked seeing Smee and Black Stache’s interactions! ANXIOUS. I wasn’t sure how “faithful” of an adaptation this book was so I kept trying to align the current story with what I knew of Peter Pan. It was both fruitful and pointless all at the same time. Not everything was a parallel but some of those things that didn’t line up turned out to be a good thing! OLD. Not that the story was old but I felt old at times reading it. It’s really hit or miss with middle grade because sometimes I just fall right into the story and other times I feel like things are a bit too silly or unbelievable for me. SENTIMENTAL. I do have fond memories of movies like Hook and the musical version of Peter Pan that carried me through my childhood. Maybe that’s why I enjoy adaptations so much! I wasn’t a huge fan of the Disney version but I keep seeking out other adaptations because they were some big parts of my childhood! IMPRESSED. I really loved how the ending all came together! I actually think I wouldn’t have been as satisfied if the beginning and middle had both been direct retellings of Peter Pan. And again, I’m taking from the movie versions (I know, I know. I haven’t read the book so I can’t really tell you what else might have been there. I’m going off the pop culture knowledge here.) so most of the first half was all brand new to me. I really loved how all of the little things worked themselves out and everything was explained. It was really quite clever! SATISFIED. Again, the ending was really, really great. It just left me feeling so happy and content. INTERESTED. I THINK I want to read the second book in this series. I really didn’t love the first half and I think it would have been a bit hard if I hadn’t been listening on audio, but the way that it ended was really so perfect that I think I want to see where the next part of the story goes! Have you read PETER AND THE STARCATCHERS? Or another Peter Pan adaptation? Which is your favorite? This entry was posted in Books, Review, Sci-Fi, YA and tagged 10 Things I Felt About This Book, Books, Dave Barry, Fantasy, MG, Middle Grade, Peter and the Starcatchers, Peter Pan, Retelling, Retellings, Review, Ridley Pearson on May 29, 2015 by Brittany. Publishing Info: June 21, 2003 by Scholastic Inc. I think the most interesting thing about my Harry Potter re-reads so far has been how my rankings for the book has changed based on how I’ve developed as a person. There are just certain things I’ve connected with in some books, certain things that turn me off in others (though I still love them. I mean, I love ALL of them no matter what minor things I find) and all of the things I didn’t pick up on during my first thousand re-reads (yes, there’s always something new). I was majorly excited to re-read HARRY POTTER AND THE ORDER OF THE PHOENIX. From the time I did my last re-reads say… maybe ten years ago? This book was my second favorite (or third — it was kind of a toss-up with Goblet of Fire and Half-Blood Prince was still tops) so I was curious to see how this re-read would go. I totally changed my opinion of Prisoner of Azkaban, flipping it around from one of my least favorites to most of my most favorites so I was excited to see how one of my earlier favorites fared later on in my life. I was a bit hesitant with all of the “angsty” comments I had seen about OotP — this is probably Harry’s moodiest book (well, he IS fifteen…) and yes, it was definitely more noticeable in the very beginning of this book. Sometimes it was annoying, sometimes it made me laugh, but most of the time it really didn’t bother me. In fact, if I hadn’t see all the angst memes on Pinterest and Tumblr and other forms of social media, I may not even have noticed… Who can say! But aside from Harry and Ron’s adventures with the Yule Ball in Goblet of Fire, I think OotP is the first book that really starts to deal with relationship issues, crushes, and serious jealousy so there’s quite a bit of teenage melodrama and it DID wear on me JUST a bit. So what’s the verdict? I still enjoyed OotP, of course, but I also don’t think it’s one of my favorites of the series anymore. I just feel like there isn’t as much mystery and sleuthing regarding Voldemort and his involvement in everything and the Ministry-centric plot doesn’t grab me as much as “evil villain” (although I DO hate Umbridge more than I do Voldemort. Fact). Cho Chang // Character Obsessions: Quidditch, Cedric, the DA, Harry. Oh, let’s talk about Cho Chang. Do we have any Cho fans? Personally, I am not. She was Harry’s first big crush (an older woman! Go, Harry) but I could never really get on board with her. I don’t blame her for going to the Yule Ball with Cedric (who could?) but once she and Harry started dating in this book, she became so needy and whiny and clingy. Okay, okay, her boyfriend just died. I GET IT. So maybe don’t go out with someone else right away! Sorry, Harry. I don’t think it ever would have worked. She did like you but you were still a Cedric rebound and to add grieving on top of a budding relationship? Just not gonna happen. Kept Me Hooked On: Harry Potter re-reads. I’m still loving re-reading these on audio! This one was a bit longer so I was in a hurry to finish, but everything is still so magical! Left Me Wanting More: Levity. I know there were light moments in this book, but it doesn’t even feel DARK, just heavy. The Ministry, Cedric’s death from the previous book, Umbridge, quidditch, and close calls (and more deaths). YIKES. I think this is the book with the most weight (and it’s the biggest so… haha. Literal weight too). Others may be darker, but this one hangs heavy in my heart. Well, of course. I think it’s a totally different experience re-reading these books as an adult! I have very different reactions to some events now. Some I see with eyes wide open. Others I can compare to something that’s happened to me that hadn’t when I first read it. It’s fun! This entry was posted in A Fortnight of Fright, Books, Fantasy, Middle Grade, Review, YA and tagged Books, Harry Potter, Harry Potter and the Order of the Phoenix, J.K. Rowling, MG, Middle Grade, Review, YA, Young Adult on October 19, 2014 by Brittany. Re-reads don’t always go well, especially when I’m hand-selecting books that gave me the feels even back when I was a pre-teen, so when I chose to re-read WALK TWO MOONS after 10+ years, of course I was a little nervous. This was one book I read as a kid and immediately fell in love with. It’s something that I kept recommending even as an adult, but obviously tastes change over the years and I wondered if this book still held its weight and significance in my life even as an adult so when the mood struck me one day to finally start my re-read, I knew it was time. Thankfully, I had nothing to fear. I’ve actually only read one other book from Sharon Creech since my initial read of WALK TWO MOONS back in the day and it was beautiful but not phenomenal so I was a bit scared to re-read, wondering if the book would have lost its magic. The minute I started reading, I was reliving a piece of my childhood. The book brought me right back to where I had hoped it would. Once again, I fell in love with Sal’s story. I think I connected with it in a whole different way, better understanding why her mother left and how the things in her life really affected her mental state. It’s even more heartbreaking reading it all over again — not only because I already knew the outcome, but because I just was better able to comprehend exactly how complicated Sal’s mother’s life was and how you don’t really understand things like that to their fullest extent when you’re only twelve. Sal knew that something was going on with her mother, but it was hard for her to see exactly how deep that ran, especially when her parents were trying to protect her and hide it from her. The writing and story telling still felt as magical as when I first read it. I have to admit, I was a bit like Sal with my tendencies to hurry and rush because I was so excited to complete the re-read. I had actually forgotten the big plot points that are revealed in the end so it was exciting that the book was still new to me in that way as well. I cried ugly tears at the very end of this book. I knew how it ended and I had to prepare myself for it but it was a whole other ballgame when I came upon an incident I had forgotten about and I was SO shocked by it. I literally had to go upstairs and pull myself together. I wonder if it just brought so many feelings back from my childhood as well, and that’s why I felt everything in this book so strongly! Re-read or not, I know that I can recommend this book to anyone now and feel confident that my feelings are still as they once were. I’m still in love with this book and it was so wonderful to reconnect with that point in my childhood again! It really was like coming home. Sal // Character Obsessions: Her mother, Phoebe, the lunatic. I was never the new girl like Sal until after I had read this book, but looking back, I feel so bad for her. She was ripped from her home at a really hard time in her life and she had to sort of figure everything out again. Personal lives aside, I still relate to Sal — more our personalities. It was funny to see her really affected by her more outspoken friends, but I realized I do that as well! Our friends really are a big part of our lives. Phoebe // Character Obsessions: The lunatic, notes, her mother, the norm. Oh, Phoebe. She inspired a whole story for Sal to tell her grandparents. She was quite a character for sure. I really identified with her in some ways though. It’s hard when things in your family are so structured and then they start to stray from the normal. Although she is a bit more dramatic! Kept Me Hooked On: Childhood reads. 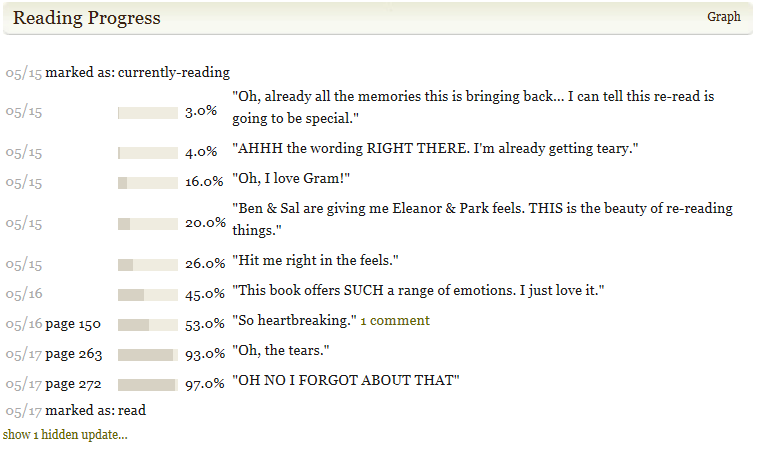 I’ve only reread a few books from my childhood but actually so far… they’ve gone REALLY well. I’m so, so happy that WALK TWO MOONS is still as great as I remember it. Left Me Wanting More: Patience. I wanted to badly to eat this book up that I rushed through it. I think it’s easier to skip over things in middle grade books because the language is a bit simpler. I tried to make myself slow down but I just raced straight through it. Whether it’s a re-read or a first time read, I still highly recommend this book! If it wasn’t a part of your childhood, make it a part of your adult life. This entry was posted in Books, Contemporary, Middle Grade, Review and tagged Books, Contemporary, MG, Middle Grade, Review, Sharon Creech, Walk Two Moons on June 27, 2014 by Brittany. At the Cavendish Home for Boys and Girls, you will definitely learn your lesson. An atmospheric, heartfelt, and delightfully spooky novel for fans of Coraline, Splendors and Glooms, and The Mysterious Benedict Society.Victoria hates nonsense. There is no need for it when your life is perfect. The only smudge on her pristine life is her best friend Lawrence. He is a disaster—lazy and dreamy, shirt always untucked, obsessed with his silly piano. Victoria often wonders why she ever bothered being his friend. (Lawrence does, too.) But then Lawrence goes missing. And he’s not the only one. Victoria soon discovers that The Cavendish Home for Boys and Girls is not what it appears to be. Kids go in but come out…different. Or they don’t come out at all. If anyone can sort this out, it’s Victoria—even if it means getting a little messy. I don’t read a ton of middle grade books, but when Alyssa, Amy and volunteered for the Kids Author Carnival this year at BEA and found out that it was being co-hosted by Claire LeGrand, we really wanted to read one of Claire’s books before the event! We featured the book just the other week for On the Same Page and all of us really enjoyed it! What really struck me about the book first of all was how visually appealing it was. I just loved being able to picture everything that was going on and how Victoria’s life was slowly changing from the organized, structured ways that she had established and quickly spiraling out of control with the growing presence of Mrs. Cavendish, the owner of the orphanage in the neighborhood. It was slightly terrifying to witness how Victoria’s world was changing around her and how she had to figure out not only how NOT to get sucked in but how to change it back. I also really loved the friendships in this book. Victoria’s only friend is Lawrence, an untidy boy who she doesn’t even consider a friend but a project. Victoria only takes him on as her project to teach him how to look smarter and act proper. Naturally when Lawrence mysteriously disappears, Victoria commits to getting him back and starts to realize that maybe they really were closer friends than she even admitted to herself. I really liked how easily their friendship developed, even without Victoria knowing it. I just really love great friendships in books and it was refreshing reading a middle grade book where obviously friendships are more prominent since the characters are too young to develop romantic relationships. I was definitely hooked the whole book. Claire LeGrand left the perfect amount of suspense and mystery to keep the readers invested and I was desperate to figure out what exactly the deal was with Mrs. Cavendish and said home for boys and girls. The crazy things that were going on would be absolutely terrifying if I were actually experiencing them as an adult so I can’t even imagine how Victoria held it together! But she’s also a person very much driven by logic and reasoning so she probably didn’t really stand for all of the off-kilter events. It definitely had a Tim Burton sort of feel for me which really added to my reading experience! Victoria // Character Obsessions: Tidiness, order, being the top of her class. Victoria kind of reminded me of Hermione. She’s very careful, very smart, and places a lot of importance on structure, tidiness, and good grades. I really liked how her personality really grew and she matured a lot. I feel like usually we see characters with good personal relationships and they grow to mature in other ways, but Victoria was already very mature in respect to the adult world and instead her relationships really grew throughout the book. Kept Me Hooked On: Middle grade. I really don’t read a lot of middle grade, but every once in a while I read a really good one. Cavendish was a lot of fun and I think I really enjoy MGs with a darker side to pull the adult in me over. Left Me Wanting More: Backstory. I really wanted to know even more about Mrs. Cavendish, how she was able to do what she did, and where she came from. I think that was one of the only things I was really missing from the story. I just wanted to know so many more details about her! This book was really fun and Claire LeGrand is a fantastic writer! I loved so many aspects of this book and it was a fun, quick, and dynamic read for me. This entry was posted in Books, Middle Grade, Paranormal, Review and tagged Books, Claire LeGrand, Horror, MG, Middle Grade, Paranormal, Review, The Cavendish Home for Boys and Girls on June 20, 2014 by Brittany. Publishing Info: July 8, 2000 by Scholastic Inc.
How is it that each time I re-read a Harry Potter book, I find myself amazed all over again? I know I said it before with the first three books, especially with my amazement of how much I enjoyed HARRY POTTER AND THE PRISONER OF AZKABAN when it used to be my least favorite book of the series, but honestly. J.K. Rowling really stepped everything up a notch with HARRY POTTER AND THE GOBLET OF FIRE. Sure, we stepped from defending the world from a supervillain in the first two books and magical school hijinks to personal vendettas and darker family history in book three, but GOBLET OF FIRE puts Harry in mortal peril preeeeeetty much all year. It’s not as apparent how much time passes int he movies, but Harry is literally involved in the Triwizard tournament all freaking year and pretty much his state in the mortal world depends on how well he can figure out these clues before it’s time to put him in front of another dangerous task that may or may not kill him. Aside from upping the danger, things also get exponentially darker. Not only is Voldemort still involved, as always, but we learn more about the Death Eaters — his dedicated followers — but also the Unforgivable Curses and so much more about the dark years that preceded Voldemort’s decline. We’ve seen the bad guys punished in previous books and we knew about the awful deaths that occurred when Harry was just a baby, but Goblet of Fire… This book really takes a dive into the deep end of the dark. Bad things happen to good people in this book and there are just some really gut-wrenching moments that even when you know they’re coming still hit you hard. This is another book whose movie really started to deviate a lot — not even necessarily changing events and specifics but we lose whole plot lines and characters. I’m not necessarily disappointed looking back because of course you can’t adapt everything in a book for a movie, but it’s kind of amazing when you see what has changed and what you totally forgot about. Here are just a few. Ludo Bagman: Remember Ludo Bagman? He’s the head of Magical Games and Sports and once played Quidditch for the Wimbourne Wasps. If you haven’t read the books in a long time and you’ve been watching the movies, I’m sure you remember Ludo Bagman but you wouldn’t believe how much he is actually a part of the books!! He’s involved in so many scenes, from beginning to end! S.P.E.W. : The Society for the Promotion of Elfish Welfare, for those who aren’t familiar, was Hermione’s attempt to free the house elves from their lifetimes of enslavement. However……. I was not sorry to see that go. Sorry, not sorry, Hermione. It was a bit much! Winky: To go along with S.P.E.W., Winky was a house elf who also played a very significant part in the book. But again….. eh. Not sorry to see that go and be adapted in a different way! Oh, the movie spoils me in some ways. 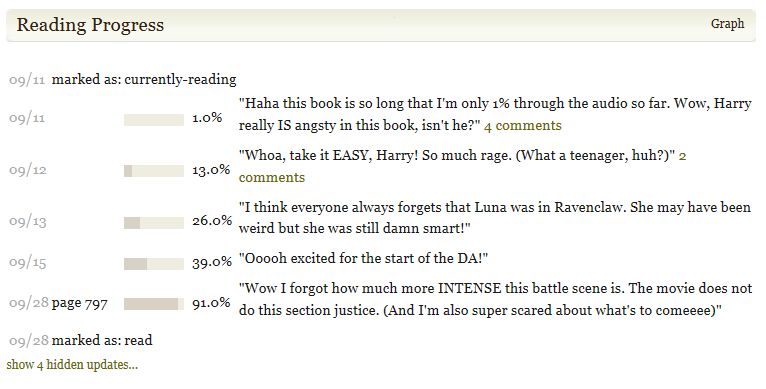 Rita Skeeter’s “downfall”: I mean, we’re assuming here that you all have read the books if you’re reading my review, but I’ll try to remain mostly spoiler-free here, so Rita! I wish the movie had at least touched on what really happened to her at the end of the book and how Hermione really put her in her place! My take from the audiobook re-read? This may be a new contender for my favorite Harry Potter book out of all seven. Then again, my current favorites are five and six, so there’s still time for that to change! 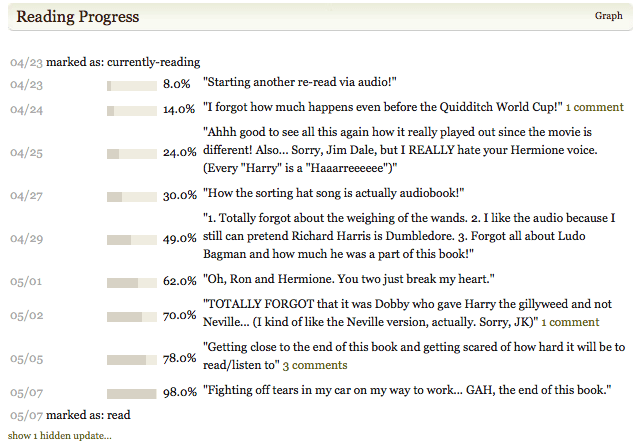 We’ll have to see how those audiobooks go as well. HARRY POTTER AND THE GOBLET OF FIRE was just SO good. An amazing book to begin with and so much fun to re-read (for the countless time because I’ve honestly lost track)! Harry // Character Obsessions: Triwizard tournament, friends, Sirius, dark wizards, Quidditch. Harry’s time in the 4th book is pretty much spent with the Triwizard Tournament. Everything else sort of takes a backseat, naturally! It’s interesting to see Harry mature throughout the series and yet you still see how young he really is. He’s still a teenager and despite how maturely he handles the tournament… He really doesn’t. He doesn’t stay on task and his friends and teachers have to prod him along to make sure he won’t die in the tasks but he always handles things with Voldemort like such a badass. He’s a Gryffindor — brave, but not always motivated haha. Hermione // Character Obsessions: S.P.E.W., helping Harry, Rita Skeeter. I love Hermione but… I’m glad they took the whole house elf story line out for the movie! It really started to grate on my nerves because she’s just so obsessed with it. Kept Me Hooked On: Goblet of Fire. WOW. I forgot how much I loved this book. Obviously I love the whole series and I always knew I loved GoF but I forgot how awesome this book really was. Based on how my re-reads go with the rest of the books, this may jump in the front on my favorites list! Left Me Wanting More: Of the series. I immediately wanted to start Order of the Phoenix. But this series will do that to you! If you haven’t re-read Harry Potter in a long time (or *ahem* if you haven’t read it at all yet) I highly recommend you get on that soon! They just get better with time! This entry was posted in Books, Fantasy, Middle Grade, Review, YA and tagged Books, Fantasy, Harry Potter, Harry Potter and the Goblet of Fire, J.K. Rowling, MG, Middle Grade, Review, YA, Young Adult on May 28, 2014 by Brittany. Publishing Info: September 8, 1999 by Scholastic Inc.
HARRY POTTER AND THE PRISONER OF AZKABAN is really the first in the series where I feel like the books and the movies really start to differ. Obviously the movie still stays pretty true to the book, but I was surprised quite often how many little things were changed for the film adaptation, especially the big reveal at the end. As a re-read now and having watched the movies so many times, it’s definitely a bit anti-climactic BUT I’ve seen the movies so many times that obviously that version is engrained in my mind. I haven’t done a re-read of Harry Potter since… well, probably since right after high school so that’s about ten years that have gone by without actually reading the books. I forgot how many details just aren’t able to fit into the movies for time reasons alone but re-reading made me so incredibly happy because I got to geek out over this whole magical universe all over again and refresh my memory on the things that the movies just can’t fit. This book actually used to be my least favorite of the series, which also makes it entirely plausible that that’s the reason why I don’t seem to remember as much of it as I thought I had. Looking back, I have no idea why it was my least favorite because it has so many elements I love! Time travel. Professor Lupin. Big reveals. Mistaken identities. I can remember what it was that just didn’t click with me the first couple times I read it but I can definitely say that it’s back up there for me, although it still won’t be my favorite. I always feel like I have so much and yet so little to say with my re-reads of Harry Potter because it doesn’t really need a formal review since most people have already read the books and those who haven’t, well, I don’t want to spoil it because I still have hope you will read them! So I’ll just go over a few differences I remember from the book and the movie — Actually, if you haven’t read the books or seen the movies yet, LOOK AWAY because some of these might be mild spoilers. The importance of Crookshanks. Yes, Hermione’s bandy-legged ginger cat with a bottlebrush tail and smooshed face (seriously — described that way so many times that I can repeat it!) did appear in the movies BUT the movies glossed over the fact that he’s part kneazle AND that Crookshanks was sort of working with Sirius when he was in dog form and that’s part of the reason the kids knew they could trust him. Not to mention the fact that Crookshanks has many more humanlike characteristics in the book, intelligence-wise, and that he was the one who immobilized the Whomping Willow so Harry and Hermione could get in. The prominence of the animals in the series. Crookshanks was so important to this book but… He also never goes away though out the series. Hedwig is really the only pet that gets featured in the movies because she’s so important to Harry, but Hermione always has her cat and I totally forgot about Pigwidgeon’s appearance once Ron loses “Scabbers”. All of the details in the Shrieking Shack. When it comes down to it, the movie just wasn’t able to include all of the details. Harry, Sirius, and Lupin have a long, long, long talk about Peter Pettigrew. I can totally understand why the movie kept it short and sweet — it felt like this talk was really long as I was listening to the audio and knowing what happens, I was anxiously awaiting for the scene to continue on BUT there’s a lot of important info that gets shared here, especially regarding Harry’s parents and their relationship with Sirius, Lupin, and Pettigrew. The Marauder’s Map. I. LOVE. THE MARAUDER’S MAP. I don’t know why but I just do. The map in the book is MUCH more insulting to Professor Snape (a funny but tense moment!) and I feel like we get much more information regarding the creators of the map and the reasons why they created it. In fact… Do we even get an explanation in the movies? Is there a brief glossing over from Lupin? I honestly can’t remember. The Firebolt. In the movie version, Harry doesn’t get to use his Firebolt until the very end of the book, after the entire plot, basically. In the book, his broom is confiscated to be tested for jinxes and hexes but he does get it back to use in Quidditch matches! I forgot ALL about that! He totally uses the Firebolt’s speed to flatten the other teams. Those are the highlights that I can remember! I’m really glad I enjoyed this one so much this time around and honestly, I can’t even pinpoint why it used to be my least favorite. So what was your favorite thing about Harry Potter and the Prisoner of Azkaban? Are you a time travel fan? Were you rooting for Sirius Black? This entry was posted in Books, Fantasy, Review, YA and tagged Books, Fantasy, Harry Potter, Harry Potter and the Prisoner of Azkaban, JK Rowling, Magic, MG, Middle Grade, Paranormal, Review, Witches & Wizards, YA, Young Adult on March 10, 2014 by Brittany.